Cutting monogram vinyl decals with Silhouette CAMEO is a popular first project for a lot of new users. Since I get lots of questions about how to cut vinyl monograms, I figured a step by step tutorial would be helpful. 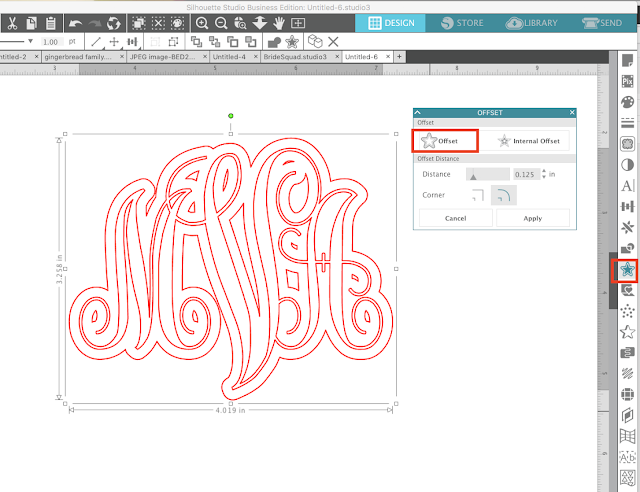 Start by downloading and installing the font from DaFont.com on your computer. 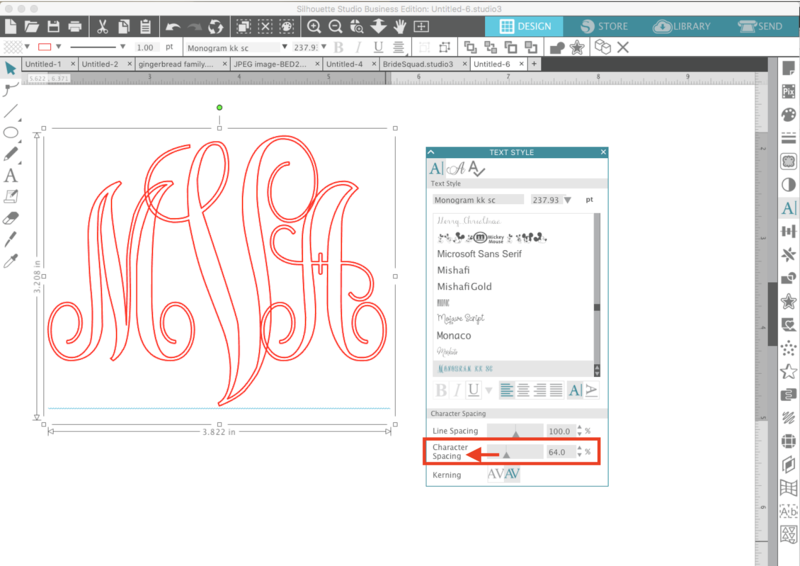 Then you'll need to re-start Silhouette Studio so the new font shows up in your Font list in the Text Style panel. 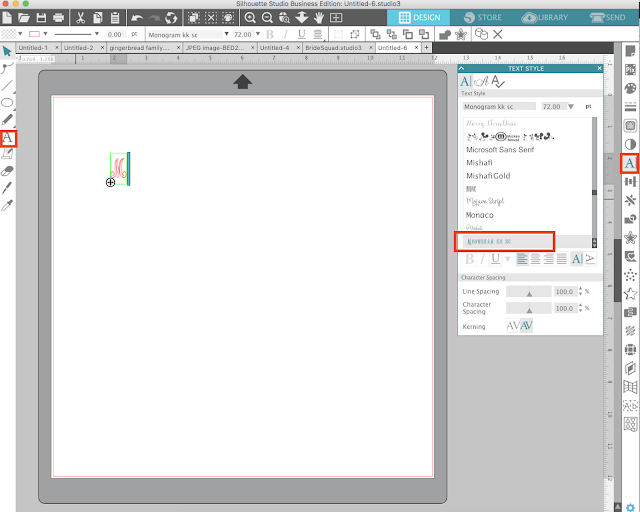 Open up Silhouette Studio and click the Text tool on the left side. 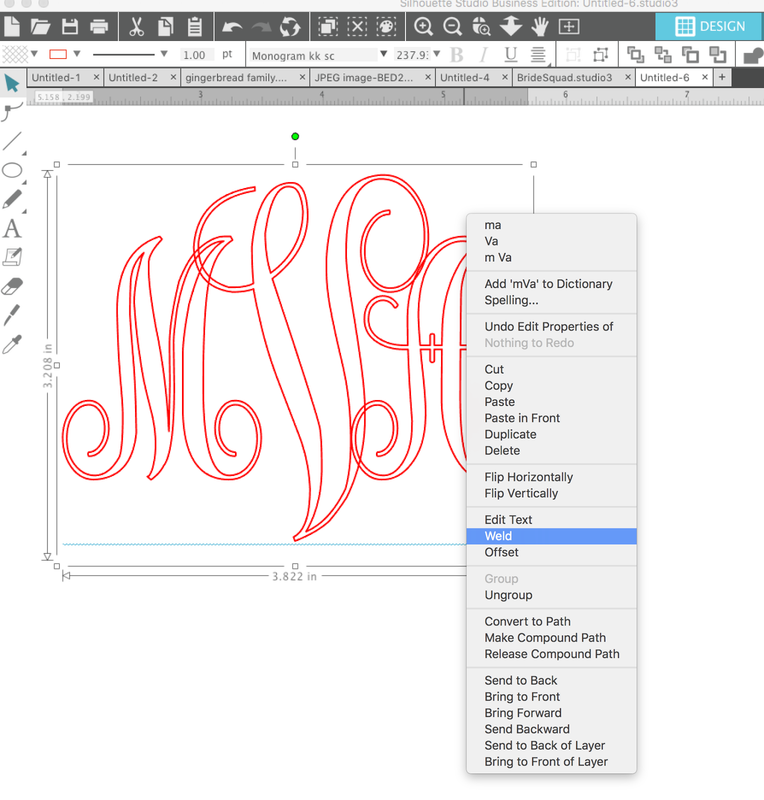 Monogram KK works the same way a lot of monogram fonts work: you want to type a lower case letter for the left letter, an upper case letter for the middle letter, and a lower case letter for the right letter. Circle monogram fonts are a little different since the left, middle, and right characters all have different shapes depending on their placement. You can type the letters all in the same text box if you'd like. 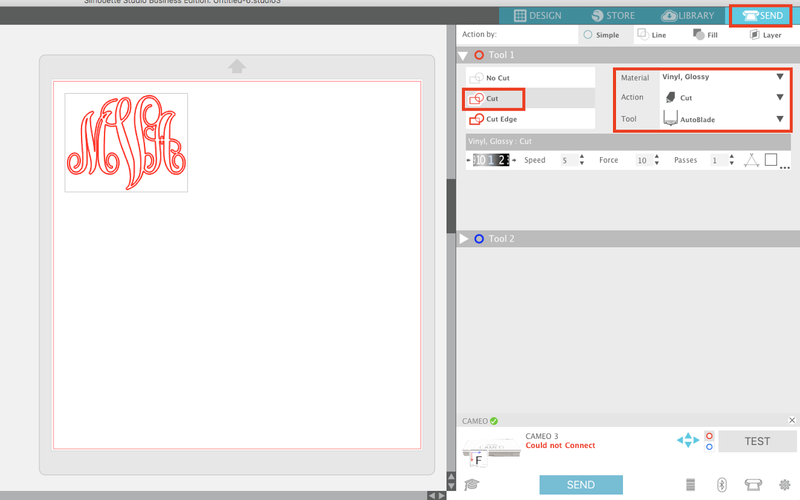 If you need to adjust the spacing between the characters use the Characters Spacing tool in the Text Style panel. 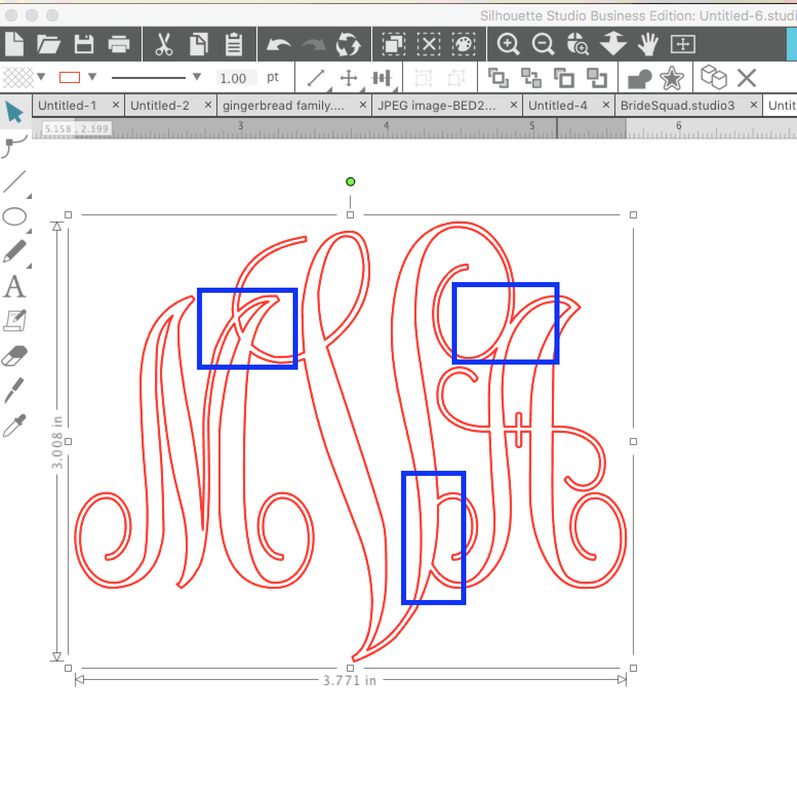 Traditionally monograms for an individual are formatted: first name initial (left), last name initial (middle), middle name initial (right). 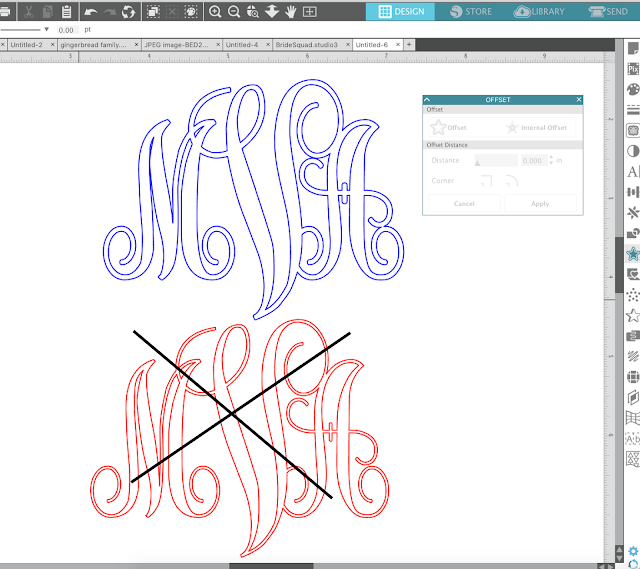 Monograms for a couple are traditionally formatted: wife's first name initial (left), last name initial (middle), husband's first name initial (right). 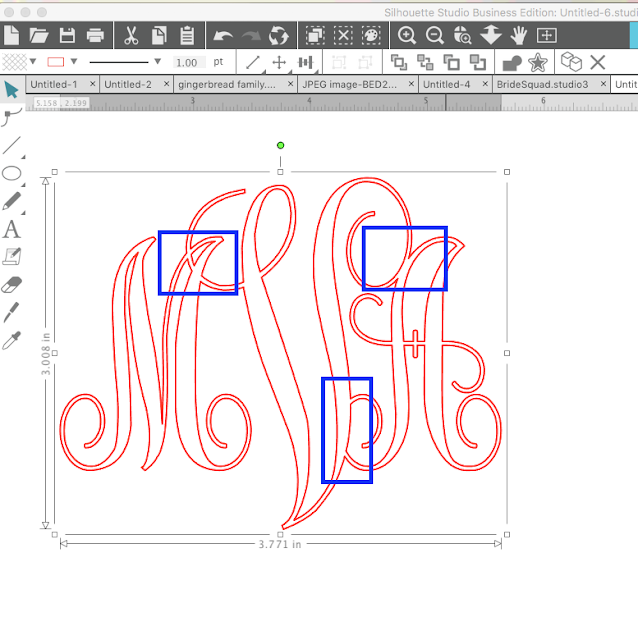 After you have typed out the three letter monogram, the letters will need to be welded so they cut as a single monogram vinyl decal and not individual letters. In order to do this, you'll need to select the text box by single clicking it to get the gray selection box around it, not the green box) > right click > Weld. 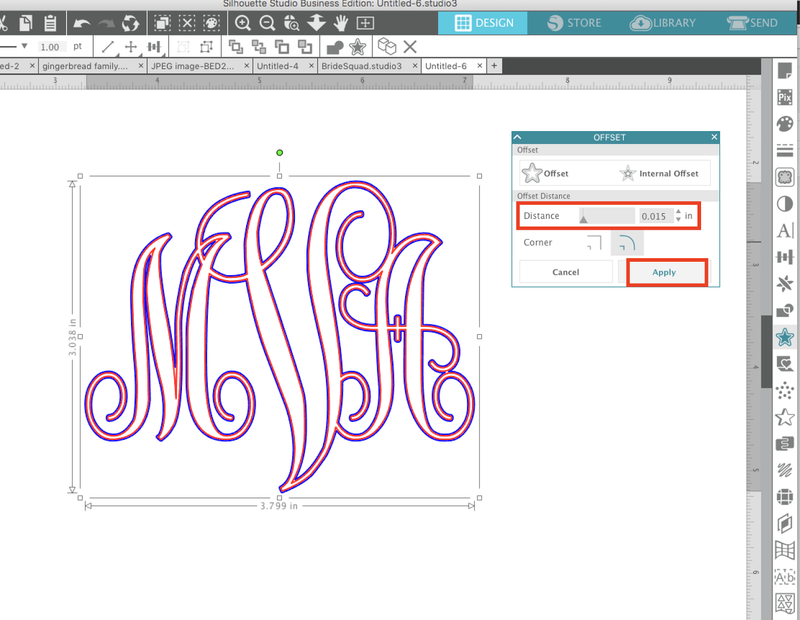 Welding the monogram design will eliminate any cut lines that would otherwise by overlapping each other. 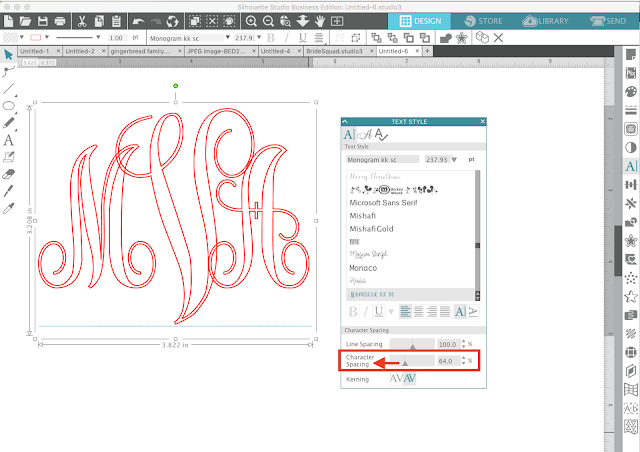 If monogram is very small and/or has very delicate areas where it will be challenging to cut, you may want to thicken the design slightly by adding an offset. If you decide to do this, open the Offset panel from the right sidebar. If you created an offset, select the original monogram design and delete it. You will be cutting the offset instead. Now you're ready to cut the monogram on vinyl. 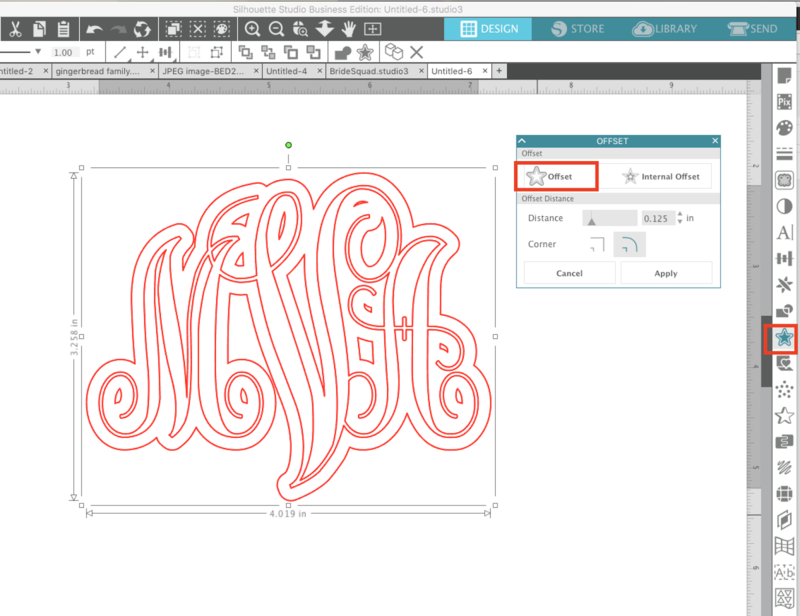 From the Send panel select, change the material type of Vinyl, Glossy or Vinyl, Matte depending on the type of vinyl you are using to cut your monogram. For a CAMEO 3 the Autoblade will default as the Tool Type. Place your adhesive vinyl on the cutting mat and load it into the Silhouette cutting machine. From the Send panel click "Send" and your monogram vinyl decal will begin cutting. vinyl leaving just the monogram on the vinyl backing. 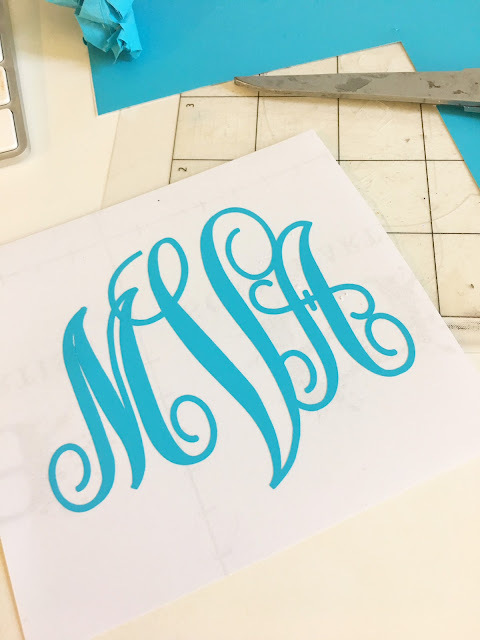 Use a piece of transfer tape or transfer paper to move the vinyl monogram from the backing to the hard surface where you want to place the monogram. 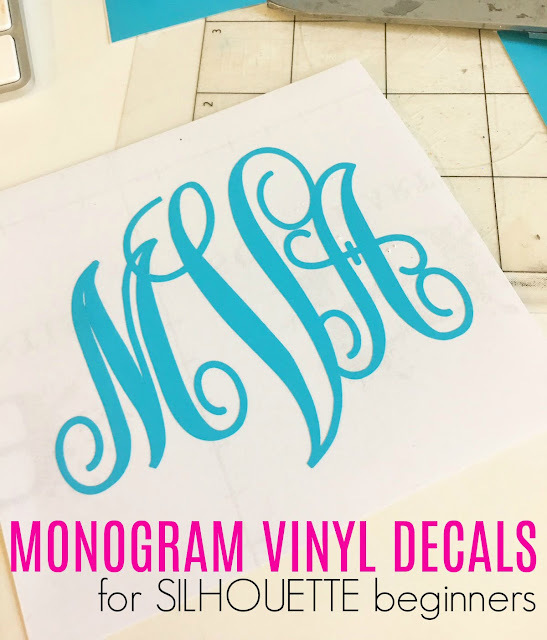 If you need a beginner tutorial on cutting vinyl with Silhouette CAMEO this one will help you make your first vinyl cut.